Tom Goodwin recently captured the global transformation of business, noting that the world’s largest taxi company, Uber, owns no vehicles; the world’s most popular media owner, Facebook, creates no content; the most valuable retailer in history, Alibaba owns no inventory and the world’s largest accommodation provider, Airbnb owns no property. “Something interesting is [certainly] happening.” (Goodwin). 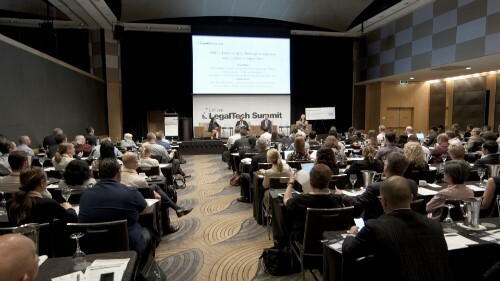 Legal and professional services also are being impacted by this global trend. As creativity and innovation drive new enterprise, in a world where anyone with an idea can be an entrepreneur: lawyers, their firms and the provision of legal services face transformation or stagnation. An awakening is necessary for firms to keep pace with business today. Despite the increase in insolvency and litigation matters during the GFC, financial pressure saw firms down-size and a few years later, undergo a spate of mergers and acquisitions that globalised the profession and included cost cutting measures that streamlined corporate functions and outsourced administrative roles (for example, secretarial pools based in countries with lower labour costs. Since 2010, Australia’s small and mid-tier firms have been competing for market share with large international law firms. mall to mid-tier law firms face diminished revenue, difficulty retaining junior lawyers and rigid workplace design. These factors combined with the oversupply of law graduates have left the industry desperately searching for new growth strategies. Perplexed senior partners clearly need to embrace the changing commercial world and target start-ups and entrepreneurs that could be the next Uber, Airbnb or Facebook. These prospective new clients represent an untapped practice area. Entrepreneurship is driving economic growth a trend prevalent in the United States and closely followed by Australia, which is seeing entrepreneurship swiftly redefine wealth and leadership. While free-thinking and vision may ignite creation like oil on a fire in the early stage of business, a cautious balance between flaring and tempering the blaze to avoid a scorched terrain or smothered flame, many entrepreneurs prefer to outsource technical or regulatory requirements to remain focused on the big picture. The start-up client (at least in the early years) demands a flexible and affordable legal service that includes prudent business advice. Lawyers who want to engage with the commercially and tech savvy entrepreneur, will have to change their professional image and business model. Gone are the days of the wig and robe as well as slick lawyers with innovation stifled by their six minute billing systems often referred to as the “vein” of a firms existence. There is a fine line between the accountability and productivity that billing brings to the profession and questionable ethics to achieve billable targets. Meaningless drivel. Cliched corporate buzzwords. Reading this took 3 minutes of my life that I'll never get back.